They Discuss Deadpool, Deadpool Trailer, Pool log, Katsucon, Philadelphia Comic Con, Best of 2015, Best life event, best nerd story, favorite podcast, The Nerd Podcast Mafia, Cult-45, So Wizard, Open All Powers, The Back Issue, Convo Comics Cast, Fans On Patrol, Rachel and Miles XPlain the XMen, Nerdist, Smodcast, Podcasts Without Borders, The Killing Joke, Civil War, Ratchet and Clank movie, Back to the Future Day, Matt Damon, Dragon Ball Super, Best TV Show 2015, iZombie, Arrow, Teen Wolf, Man Seeking Woman, Daredevil, Jessica Jones, Flash, Doctor Who, Best Movies 2015, Inside Out, Mad Max Fury Road, Star Wars, Star Wars the Force Awakens, TFA, Star Wars Spoilers, R2KT, Han Solo, Rey, Finn, FN 2187, Poe Damarin, leia Organa, Chewbacca, Daniel Craig, Captain Phasma, General Hux, Kylo Ren, Just Saiyan Gear, Diamond Dave, Diamond Minds, Chronicles Unwritten, One Year Of Podcasting, One Year Anniversary, Podcast 52, What Say You Pod, Impractical Jokers, Open letter to the Big Bald Broadcast, Podern Family, Podcast Feedback, Feedback, and More! My name is John and I am the host the Dork Of All Trades Podcast and editor of this website and blog. I had the opportunity to join in on a few broadcasts in the summer, by the handles ‘dbzsnaps’ and/or ‘dorkofalltrades’. I heard your most recent episode and was upset to hear that you guys were considering shutting your podcast down at the end of 2015. I find this as a shock and a bit upsetting. I have been unable to join live chat on Wednesdays as of late because of scheduling but I haven’t missed an episode. In this letter I will explain reasons to consider continuing your podcast and what it means to me. I found your show in February or March of 2015 by following Kyle on Instagram. At that time I was expanding my podcast library in anticipation of reviewing multiple podcasts that were featured on episode 9 of my show. 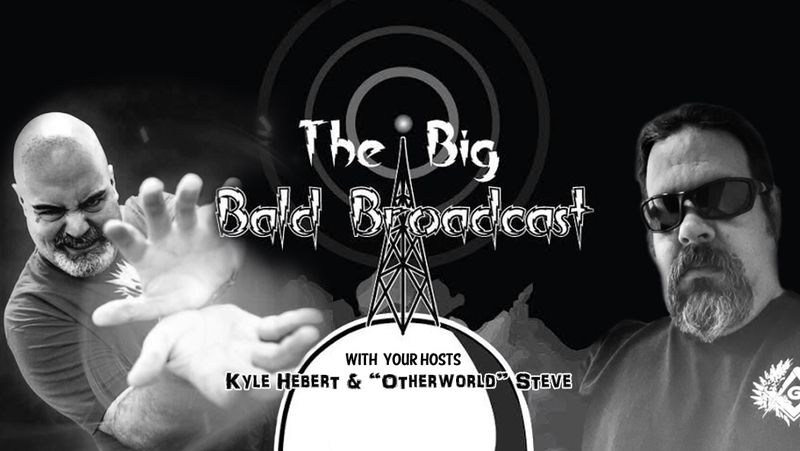 I did not find you because of SmodCo, although I have been listening to Kevin and his network for years; what drew me in was Kyle Hebert’s enthusiasm for this show. I came for Hebert, and stayed for Otherworld Steve. The podcast, to me, was a fresh take of nerd culture news blended with fanboys honest opinions. I am not a very active listener for any show, but feel important to send this message out. In your most recent episode you slightly pull the curtain back on the total downloads per episode. I hope, as a fellow podcaster, that these numbers do not weigh too much on your mind or discourage you. Our show started a year ago, and at first we looked closely at our numbers and were overjoyed at when they grew. Growth for the podcast was our original goal but it quickly became a race for survival because of our schedules. My cohost, Tim, and I realized that we could drive the show because we both had a passion for recording. It also gave us an opportunity to become closer friends. The podcast endeavor should first, be a hobby; and if it becomes profitable, consider it a bonus. If one hundred people listen or over nine thousand people listen, it will only work if you’re interested. As a listener I understand, between Steve making a history documentary and Kyle working as a legendary voice actor, that scheduling is an issue. If meeting once a week, once a month, or whenever you can to connect and discuss ‘all the geeky news we can use’ satisfies you; then I would urge you both to continue. Think hard about the pros and cons of moving forward. Ignore the numbers, and if you find that it is worth pursuing, know that your voice will be heard every episode. I know that the best thing a listener can do is give feedback, and I apologize that has gotten to this point before I did. I would urge any reader to give feedback on the shows they like, and make time to hear the Big Bald Broadcast, it’s a great show with two nerdy and passionate hosts. In closing, guys, it doesn’t matter to this fan what network you’re a part of. I hope that after your Star Wars review, I will be able to hear some version of this show again.